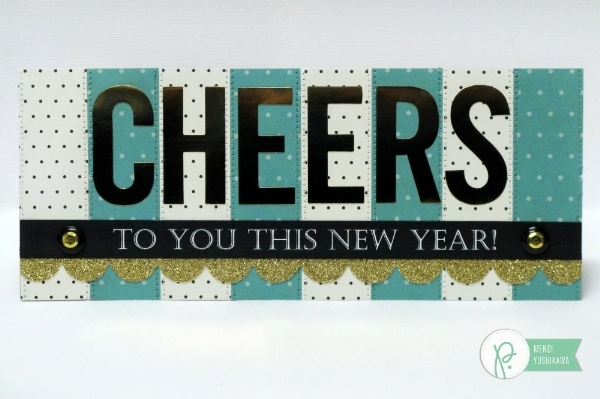 December 2014 - Pebbles, Inc.
New Year Cards that Sparkle and Shine! Hi there! It’s Mendi here today. 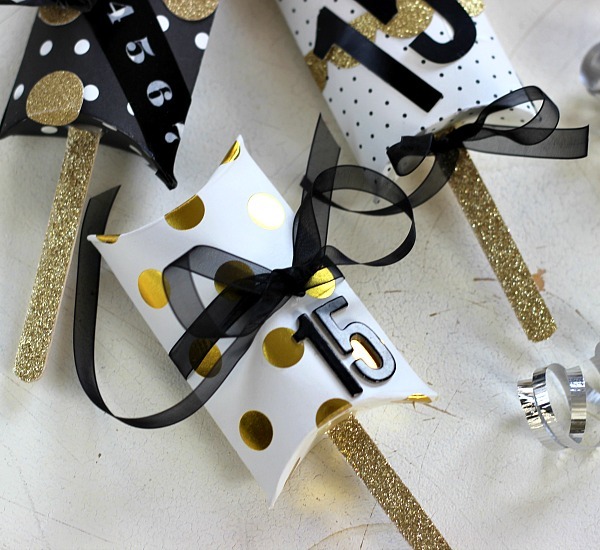 Can you guys believe it’s almost a new year? Where did this year go? If you’re like many of us, you may have run out of time when it came to making Christmas cards, but I’m hoping I can inspire you to send out New Year Cards instead! 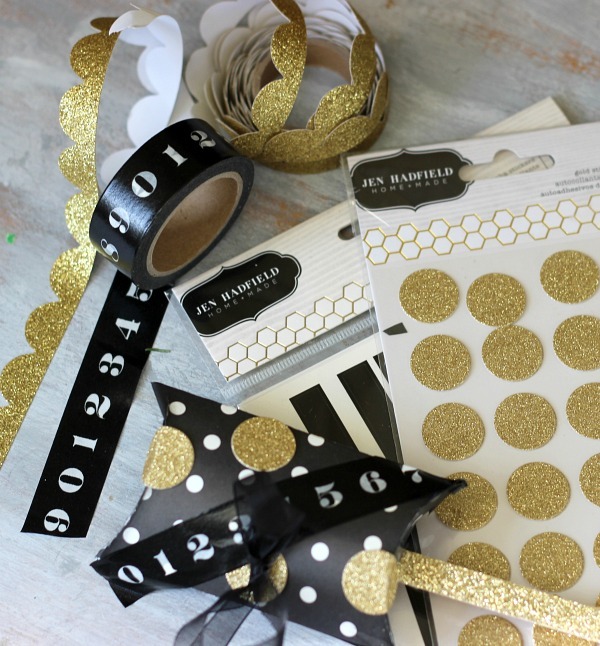 To create my cards I turned to the classy Home+Made Collection by Jen Hadfield. 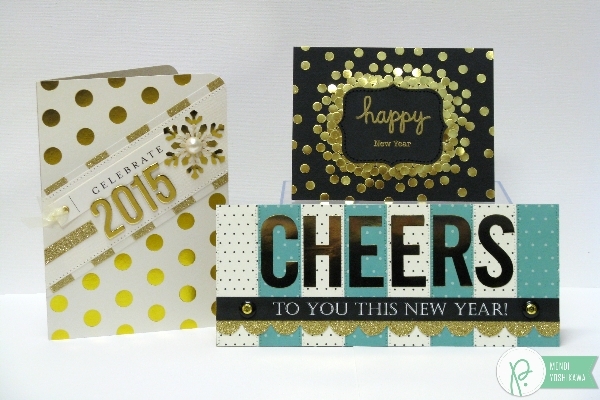 My first card uses all the soft and pretty gold and cream specialty papers and embellishments with the collection. I punched a snowflake from the gold foil cardstock and layered it with a smaller snowflake in vellum to give it a softer feel. For my next card I alternated 1-1/8″ wide strips on a 9″ x 3-3/4″ card base. I then stitched down each side of the patterned paper and adhered gold foil alpha stickers for a sentiment with big impact. To complete my sentiment I typed my words on the computer using a text box in Microsoft Word, layering it with some of the gold glitter scalloped tape from the collection. 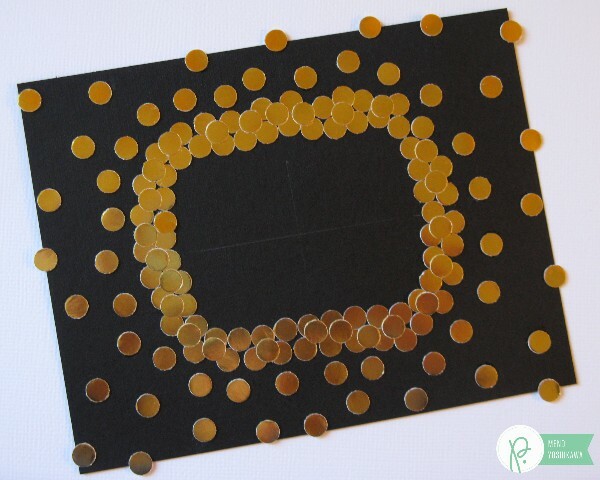 My finishing touch was a pair of black buttons which I topped with gold sequins. 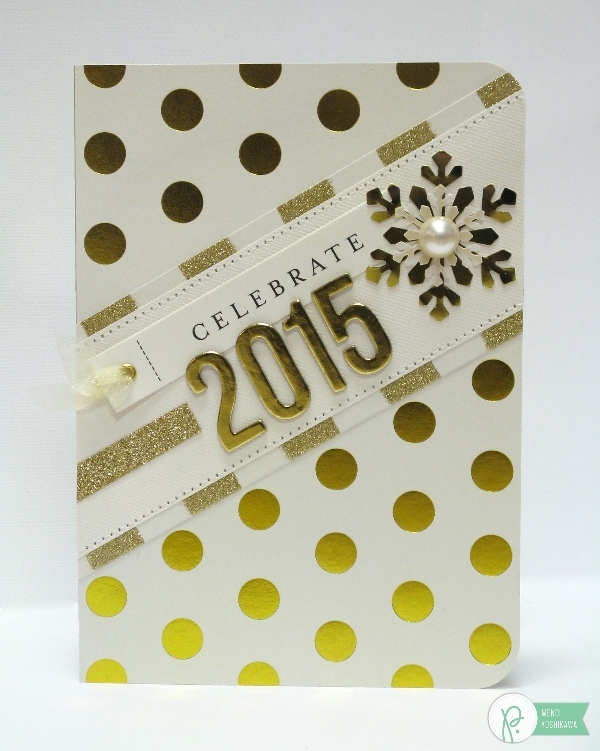 My last card has a holiday bokeh effect or exploding confetti look. I’ve included a little step-by-step photo tutorial below sharing how I created it. 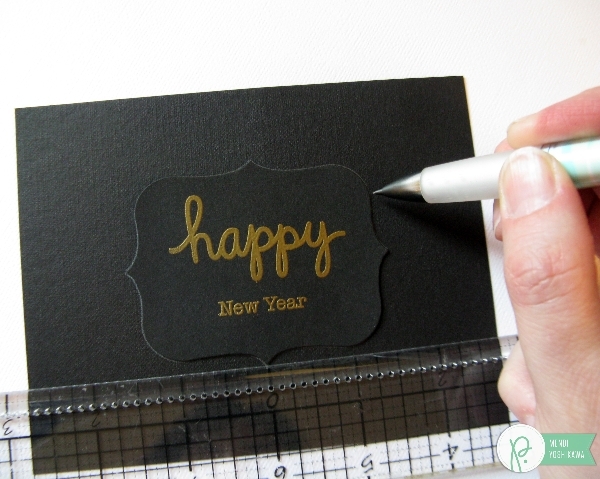 I started by cutting a piece of black cardstock to fit the front of my card (5.5″ x 4.25″). 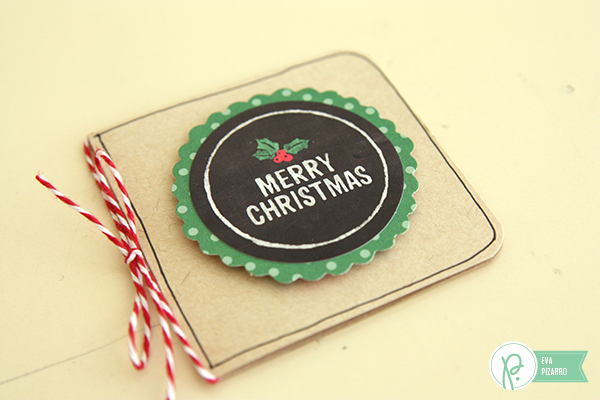 I stamped and heat embossed my sentiment using gold powder onto one of the chalkboard labels from the collection. When I was done I lightly centered the label on my card front and traced around it with a pencil (and set it aside for later). 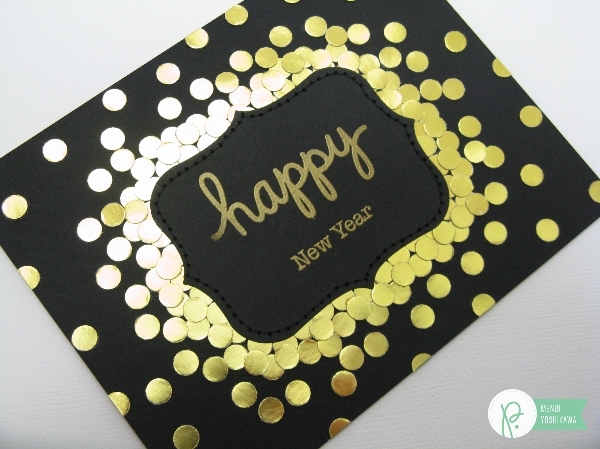 I then cut the gold foil cardstock into thin strips and punched it with a 1/4″ hole punch. We R Memory Keepers Power Punch would be perfect for this. 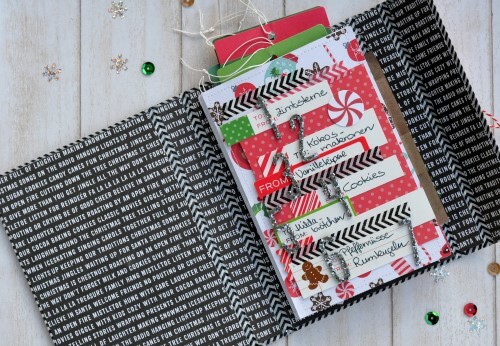 It’s a pretty thick cardstock so you’re going to want a strong punch. 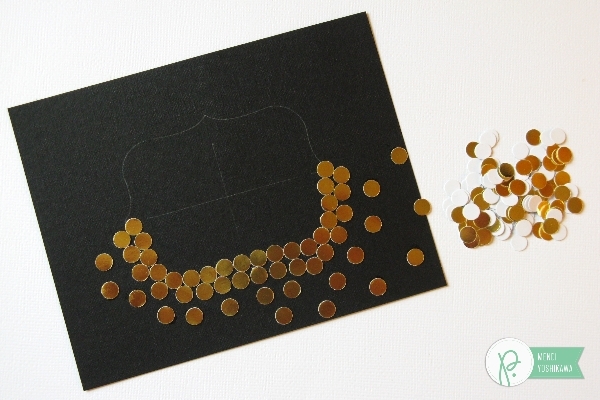 Next I started adhering the gold foil dots to cover the pencil line that I traced around my label, offsetting and spreading the dots out as I moved towards the edge of the card. I found a glue pen to work best at this stage for minimal mess, but as I started to layer them in the next step, I had to switch to a liquid adhesive with a stronger hold. 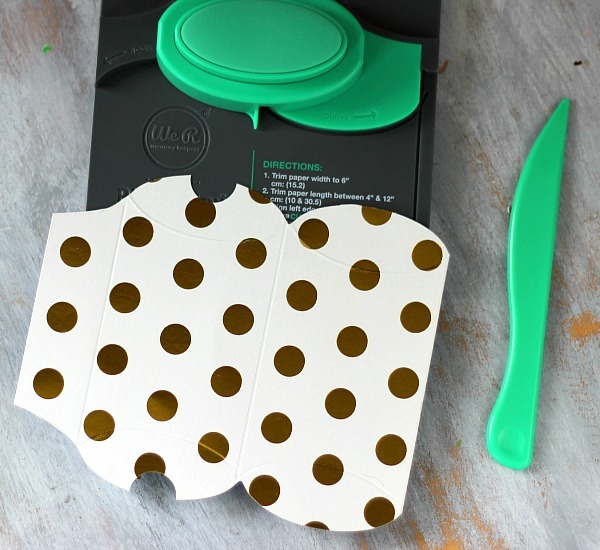 When I had completely covered the front of my card, I cut off the dots that bled past the edge of the card front. I adhered the label to the center and stitched around the edge for extra holding power. The last step was to adhere the front panel to a notecard. This card ended up being extremely flat and is perfect for mailing! May you and yours have a wonderful holiday season enjoying great company, good food, fun memories, and the magic of Christmas. Hi, it’s Marjan here today. 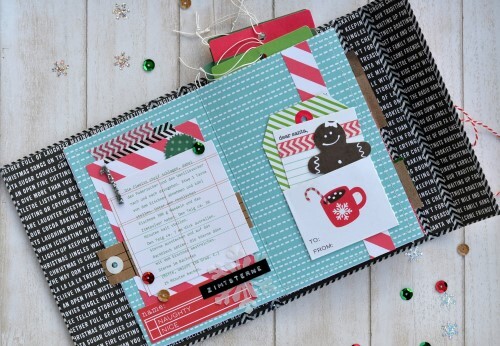 I am so proud to be a guest designer at Pebbles in December because this month is my favorite month this year. It’s snowy, and you can do lot of fun things inside and outside the house like crafting, baking and skiing. I love baking cookies during December, so I want to share this adorable mini recipe book with you. Over here in Norway, where I live, you have to bake 7 different kinds of Christmas cookies. It is an old tradition that everyone does. You are also allowed to buy them if you do not have enough time to bake cookies all day long. Most people work here, and this time of the year can be pretty stressful. But homemade cookies are the best, right? 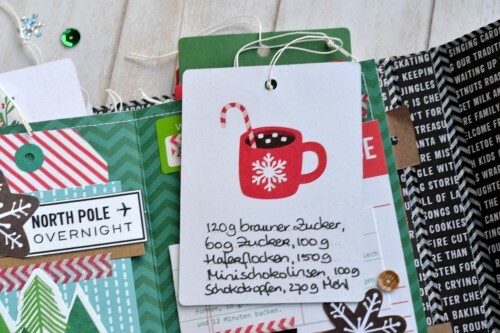 I have written down my favorite 7 recipes from 4 different countries (US, Norway, Germany and the Netherlands) and made this cute mini album to remember my all-time favorite Christmas cookies. All of the ingredients are written on tags with the numbers one to seven. These tags are stuck between the pages, and make it super easy so that I can take these tags to the grocery store and do not have to write an extra list. It was fun to make this album. 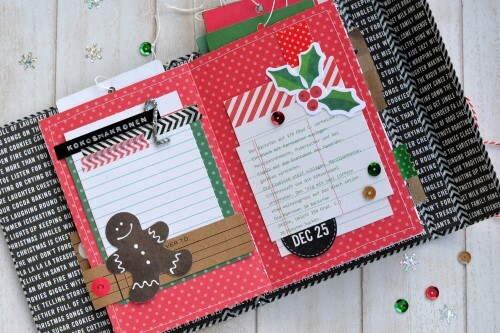 I took these pretty papers from the Home for Christmas collection and glued them together to make the pages for my mini album. After that, I printed my recipes on patterned paper. 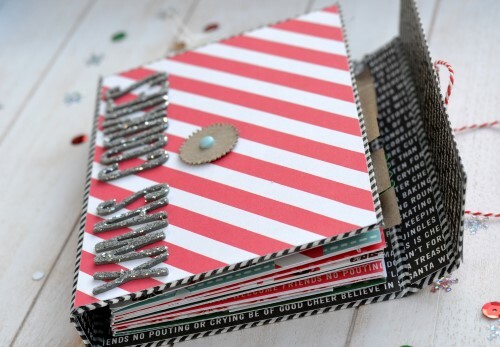 I glued down all the recipes and scraps of patterned paper. 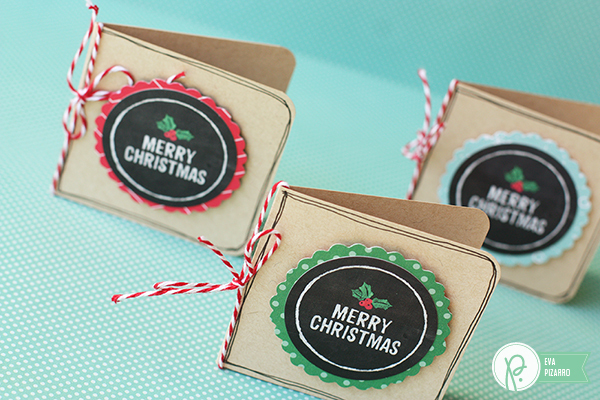 I used these adorable kraft tags and embellished the pages with coordinating label stickers, die cuts and the pocket tags. I used some silver Thickers and sequins to let it sparkle. Love that! I used cardboard, strong double-sided tape, washi tape in black and white and patterned paper to make the cover of the album. I hope you like my recipe mini album! 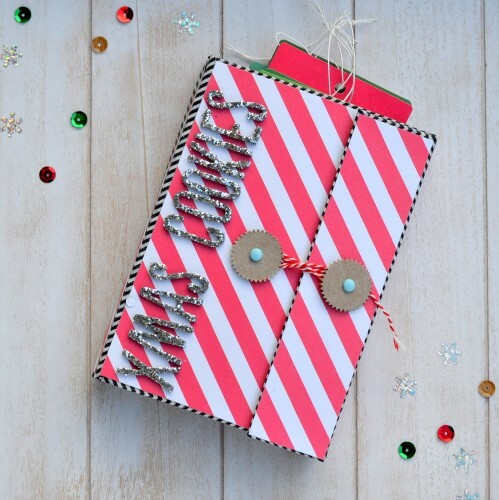 Hello everyone, I’m Eva Pizarro and today I’m going to show you how to make quick mini cards that you can use for small greetings or to add to a gift. 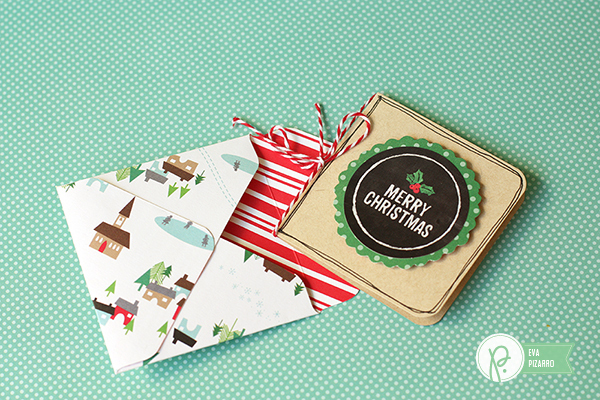 For these mini cards I used the envelope seals from the Home For Christmas collection. 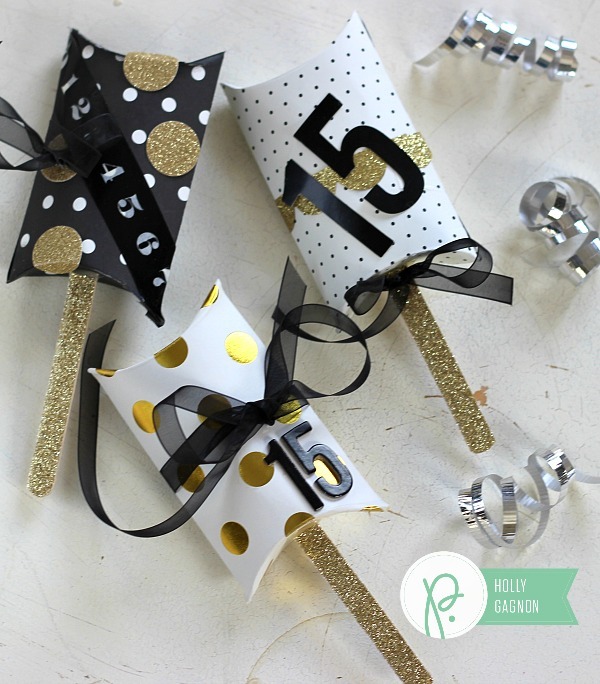 The size is perfect and you get so many of these in one package that you can make these in bulk. 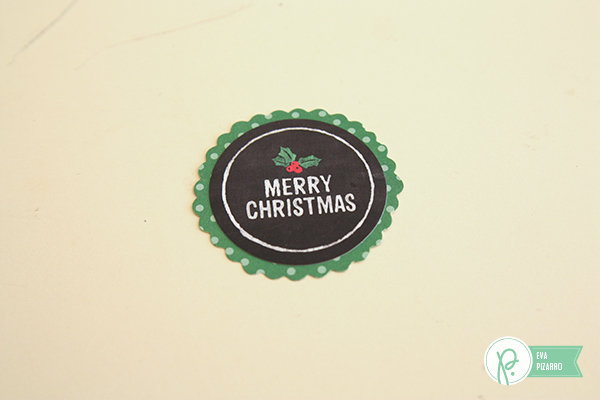 Begin by sticking the seal to a piece of patterned paper. 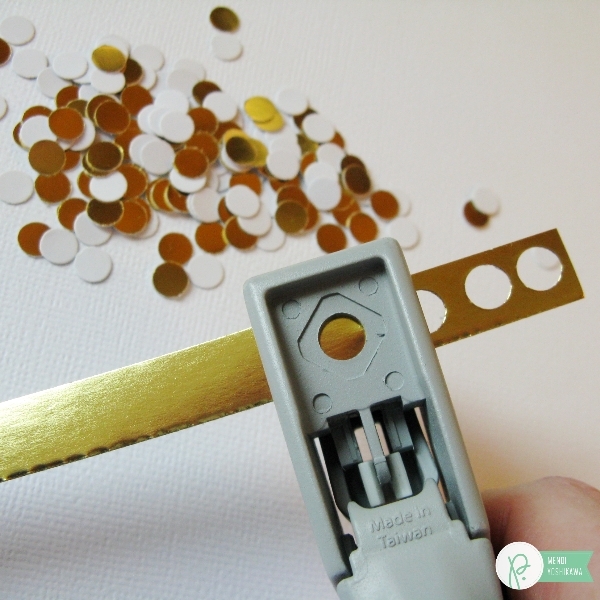 With a punch or a scallop scissor, cut all around the seal. 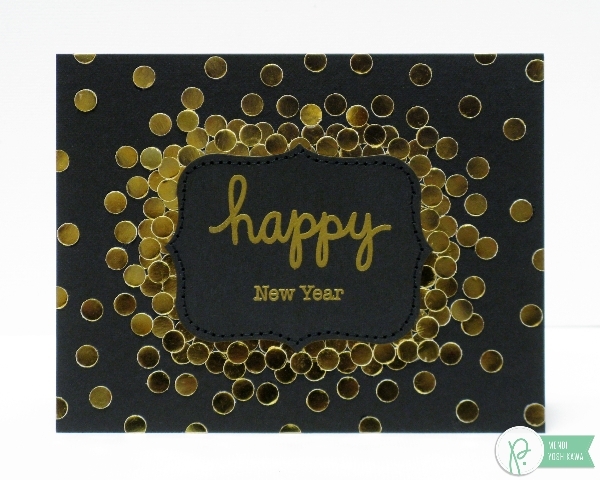 Add the seal with dimensional dots to a 2 3/4 inch square card made with kraft paper. 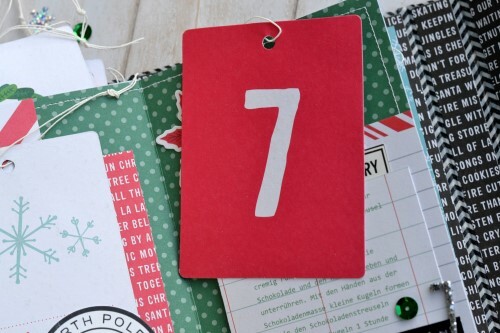 Decorate the borders of the card with a black pen and tie some red twine. 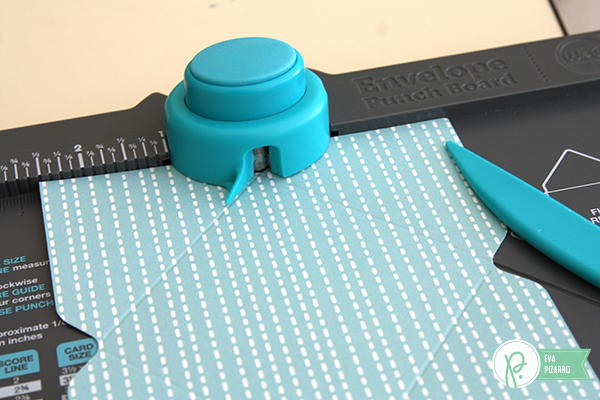 Use your Envelope Punch Board by WRMK to do the envelopes. For this card I started with a 5 inch square, aligned my left border at 2 1/2 inches and followed the board instructions. Assemble the envelope and you are done! 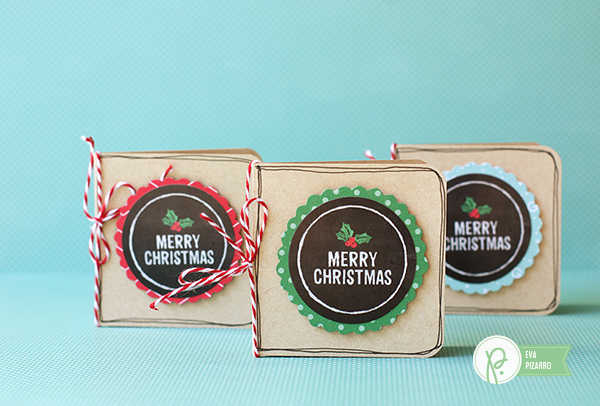 I hope you like these cute mini cards and that you can give them to someone you love this holiday season!